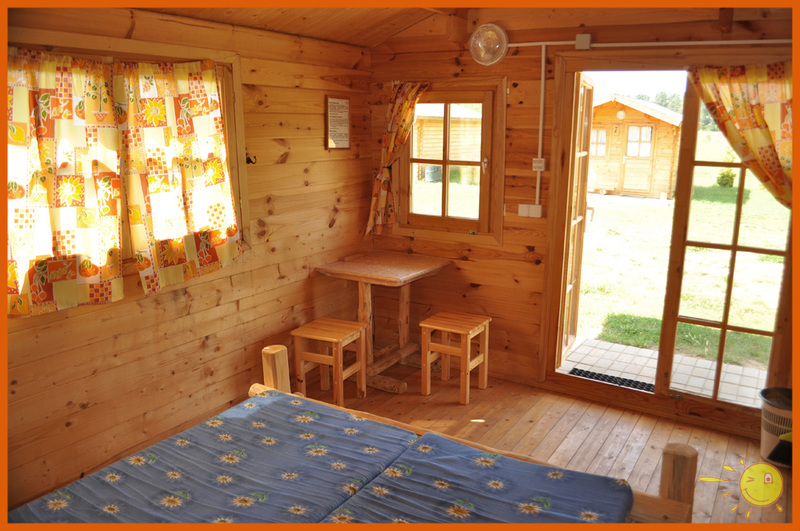 Leiputrija is quiet and cozy family-ran campsite, guesthouse and leisure complex. It is perfectly situated for those visiting Riga, Baltic seaside and even Sigulda city: almost on crossroads of two major highways of Latvia, only 23 km from capital Riga, meanwhile in scenic and quiet countryside, in bank of Latvia’s longest river Gauja. Would you like to see a part of former USSR firing ground (nowadays there is a firing ground of NATO): tank and plate armour pits, kurgans or bunkers, or ancient road of Riga – St.Petersburg and beautiful nature, including swamp of Seja? Whatever you choose, an off-road excursions on ATV’s will let you double your impression and emotions. We offer excursions of different length: 15 minute “starter” ride, 30 minute and 1 hour tours. There are 5 ATV’s for 8 persons, so you can surely take your best friends and/or family with you and enjoy the adventure all together! As you may know, bathhouse (latvian: pirts) for latvian people has always been one of fundamental casual traditions and rituals. Bathhouse (usually – “black bathhouse”/melnā pirts) was almost in every country farmstead already in 19th century. So definetly, one of the things to enjoy in Latvia is latvian sauna/bathhouse traditions. We offer a small sauna / bathhouse (for up to 12 persons), situated in campsite. The building consists of a rest room, shower, WC, wardrobe and sauna itself. By the bathhouse there are also heated and cold open air mini-pools / tubs, and an arbour with a round table for evening tea, card games or just cheerful talks. We also offer bundles of birch brunches, as whiping each other with birch branches is unalienable component of traditions of taking latvian pirts. “Leiputrijas” hot-tub under open sky can be a great addition to a traditional sauna (in that case better used warm or cold), as well as it can be used separately – as japanese sauna itself. Up to 6 persons can sit in a hot-tub at the same time. Hey, snipers! Find out who is the real “eagle eye” among your friends or family members! 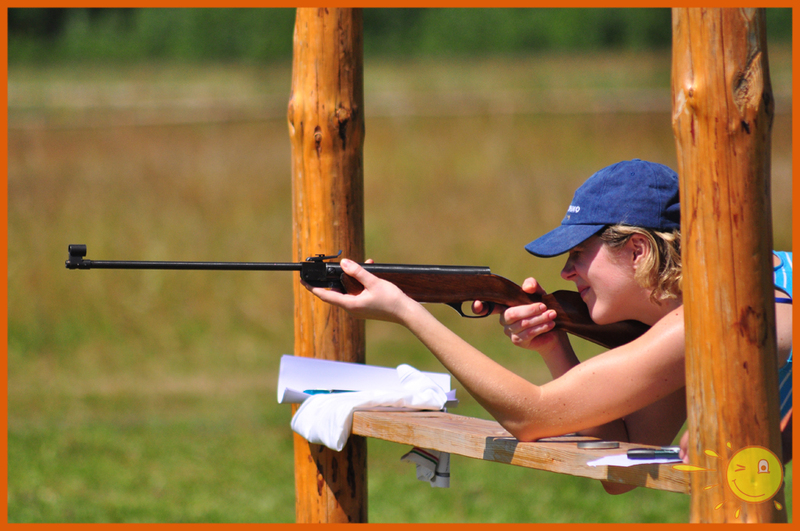 There is a small air-rifle shooting stand in “Leiputrija” for two persons at a time. Note: If shooting in normal pace, 100 pellets are enough for approximately 1 hour. 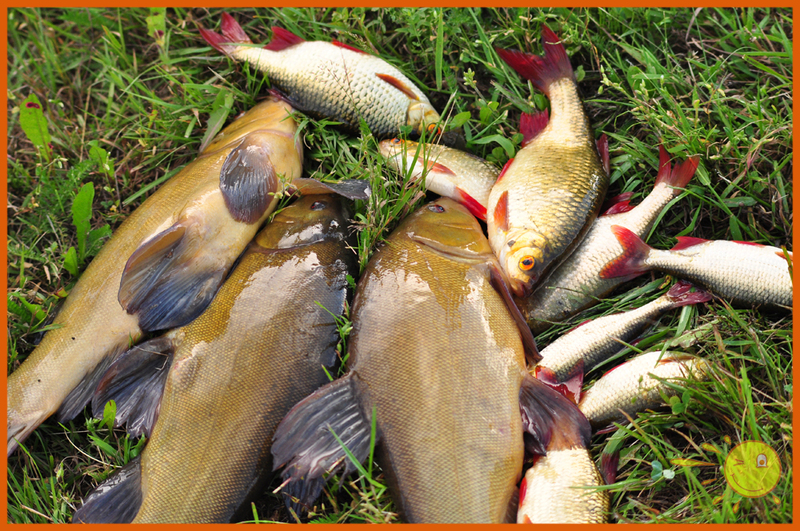 In ponds “Kancis” and “Dziļators” there are plenty of fish: perch, roach, pike, carp, tench etc. 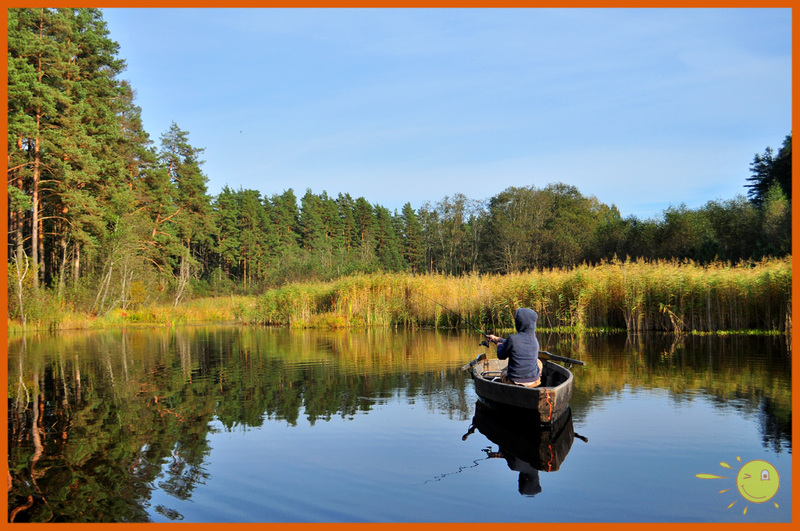 In pond “Kancis” one can rent wooden boats, but if looking for wilder environment – “Dziļators” will be the right place for you. On the place there is a small fishing-rod rental. In near future we are going to offer you even more: more fish ponds and special crawfish pond as well as curing establishment.